Which one means what? Which one does what? The group itself declared in June that it wants to be known as the “Islamic State.“ So what is the difference between the three acronyms, and why does each one of them carries such political resonance? Why do government officials prefer “ISIL”? The letter “I” has become so popular nowadays, in order to keep up with it, one wonders if one shouldn’t go back to preschool in order to update his/her A B C’s. First we had IPod, IMac, and then IPhone, IPad, IWatch; now we are dealing with IS, ISIS and ISIL. With so many “I” with different meaning, there are tons of reasons to be confused. The group began as a splinter from the terrorist group al Qaeda. The original name it in Arabic was Al-Dawla Al-Islamiya fi al-Iraq wa al-Sham. Or the Islamic State of Iraq and al-Sham. The term “al-Sham” refers to a region stretching from southern Turkey through Syria to Egypt (also Lebanon, Israel, the Palestinian territories and Jordan.) 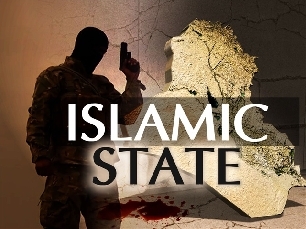 The group’s stated goal is to restore an Islamic state, or caliphate, in this entire area. The town of Levant, just outside of Bangor, Maine, was named for the Middle Eastern region back in 1813. Shamis also a contemporary nickname for Damascus, the Syrian capital; but modern-day Syria is called suriya. The Sandard English term for this territory is “the Levant,” which is broadly why Mr. Obama and Mr Cameron, the British Prime Minister, use the acronym “ISIL.” Nonetheless, some in the US media claim that the president is using “ISIL” to avoid using the word “Syria,” which is what the “S” stands for in ISIS. They say that talking about “attacking Syria” is tricky for the US government, after Mr. Obama refused to send troops into the country to intervene in the civil war against President Bashar al-Assad. Moreover, U.S. officials use ISIL instead of ISIS to emphasize the group’s goal to expand its influence beyond the borders of Syria and Iraq. And adding to the controversy is an American woman called Isis Martinez, who has petitioned the American media to try and persuade them to avoid the use of her first name. President Obama authorized airstrikes against ISIS at the beginning of August to protect areas ISIS is trying to take over. Shortly after the first airstrikes, the group executed American journalist James Foley. They also executed American journalist Steven Sotloff. The undefined region around Syria is historically referred to as the Levant; it includes Syria, Lebanon, Israel and Palestine plus Jordan. This name shows that the militants want their area of control to go beyond Iraq. The Obama administration has said that it uses the acronym ISIL As it believes the word “Levant,” which is what the “L” stands for, to be a more accurate translation from the Arabic name. The militant group announced in June that they were dropping the last two letters of their acronym and instead should be referred to as just “Islamic State”. However, in reaction to this, leading Muslims have called for the name to be altered to discourage people from joining it. “It is neither Islamic, nor is it a State” The group has no standing neither with faithful Muslims nor among the international community of nations” the letter signed by the Islamic Society of Britain and the Association of Muslim Lawyers said. With so much going on around the world, Ebola in West Africa, Chikungunya in the Caribbean, ISIS, ISIl, IS in the Middle East…it would not hurt to conclude this article with a humoristic note by saying: I can see the difference now. Even though I don’t know much about ISIS, I care less about IS, I don’t give a damn about ISIL. Therefore, I pass and I rest my case. So, I will see you soon to talk more about IBama’s response to ISIL. You know what I mean? Publié le 11/03/2014 par Rosie Bourget. Cette entrée a été publiée dans POLITIQUE. Bookmarquez ce permalien. ← COMMENT SUSCITER LE RESPECT DANS LES RELATIONS HUMAINES ?